Welcome to the newly renovated Ramada Laramie located in the heart of Wyoming. The Ramada Laramie is nestled just minutes from historic downtown Laramie, the Laramie Regional Airport, and the University of Wyoming campus. Laramie, Wyoming is rich with cultural, historical, and leisure points of interest. The Ramada Laramie enjoys close proximity to the University of Wyoming Campus and its facilities including University of Wyoming Museum, Jonah Field at War Memorial Stadium, Arena Auditorium, Fine Arts Concert Hall, Coe Library, UW Geology Museum, and the UniWyo Sports Complex. Other points of interest include the Snowy Range Ski Resort, Wyoming Territorial Prison Museum, Laramie Plains Museum, Wyoming Childrens Museum and Nature Center, Glen Jacoby Golf Club, Veedauwoo area, and the Wyoming Technical Institute. The Albany County Fairgrounds, host to the Albany County Fair, Mr. T Classic PRCA, and the Laramie Jubilee Days PRCA Rodeo, are just one quarter mile away. 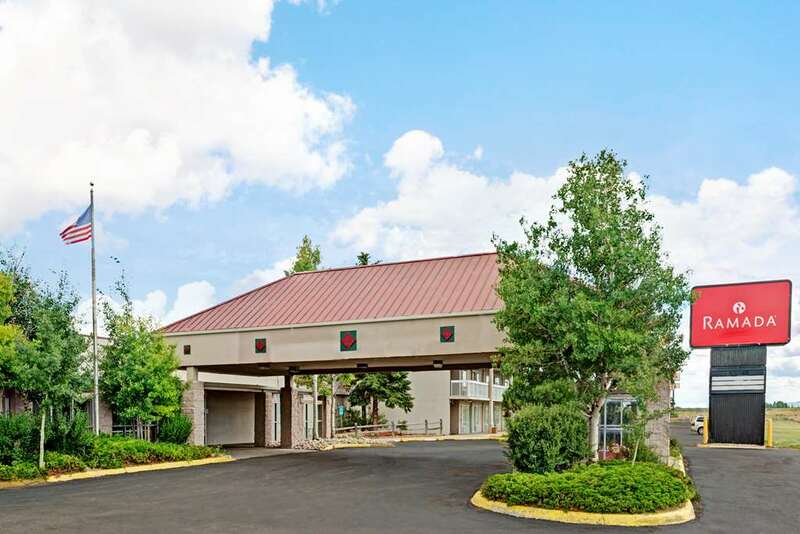 The Ramada Laramie offers popular guest amenities such as complimentary Hot Breakfast, heated indoor pool and hot tub overlooking a courtyard setting, free High-Speed Wireless Internet Service, 24 hour business center, guest laundry and 24 hour convenience mart. Guestrooms feature iron and board, hair dryer, coffee maker, oversized workspace, 25 inch color televisions, and a newly upgraded bedding package. Our pet friendly facility, with views of the Snowy Range of the Rocky Mountains, offers all the presence for a perfect guest experience. For information about booking a group or utilizing our extensive meeting space, please contact our Sales Department. - University of Wyoming - Grand Ave.